10 Cute Things That Happen In EVERY College Romance! Bollywood movies have made us believe that college romance is one of the sweetest phases of one’s love story. If you met your boyfriend in college or are currently in the ‘college romance’ phase, here are a few things you would completely relate to. Back in school, you may have been scared of your teachers or other people in the school finding out that you have a boyfriend. But once you are in college, you can openly meet your boyfriend because college teachers really never bother about who is dating who and having a boyfriend is not such a big deal anymore. Yes, of course, your college has various romantic spots where you often find couples spending time with each other. But there is something special about spending time with your boyfriend in the library. Your college library has probably witnessed a lot of love stories. College is no longer all about studies. You don’t get ready in 5 minutes, rather you wake up before time to plan and decide what you should be wearing and going to college… You want to look your best, after all. 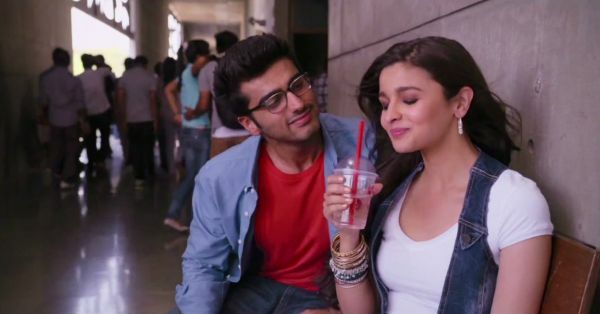 Movies like 2 States and Ishq Vishq made us believe in college romance! Well, now it’s time for you to make all your filmy imaginations come true. College parties, prom nights, PDA in the campus; enjoying puppy love at its peak! One of the sweetest memories of every college romance is sitting together in the class and holding hands under the table. As soon as you enter class, you know your seat is always right next to his. There might be someone who secretly has a crush on you or there might be a girl who has her eyes on your boyfriend! The whole ‘being jealous and protective of each other’ is what college romances are made up of… And it’s kinda cute! Chances of the two of you having a common group of friends in college are high and there are so many perks of the same! Planning surprises for each other becomes so much simpler and all the teasing they throw your way, just adds to the blush on your cheeks! 9. All hail combined studies sessions! Exams time can be the most dreaded time in college for everyone - except for the two of you! You both spend time together, share notes and study together. And when you study together, there aren’t many doubts and questions that remain unresolved by the end of it all.